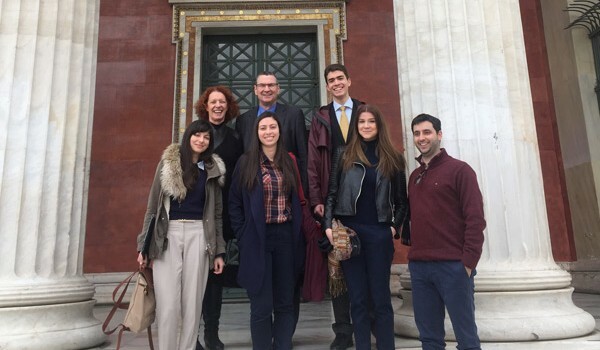 The American College of Greece, along with the Ministry of Education, Research and Religious Affairs, organized the first World Speech Day, an inspiring event that took place on March 15, 2016, at the National University of Athens. The WSD event in Greece was supported by the International New York Times, Kathimerini, and Skai. In this context, Greek students from five high schools and five universities were invited to address the topic through 4-minute speeches that were followed by Q&A sessions. Welcoming all to this first WSD event in Greece, ACG President David G. Horner set the tone in his opening remarks with quotes from five memorable US speeches by Martin Luther King, John F. Kennedy, Robert F. Kennedy, Hillary Clinton, and Barack Obama. Students representing several public academic institutions also participated, namely, the 3rd Lyceum of Glyfada, the 2nd Gymnasium of Alimos, and the 6th and 7th General Lyceums of Nea Smyrni. 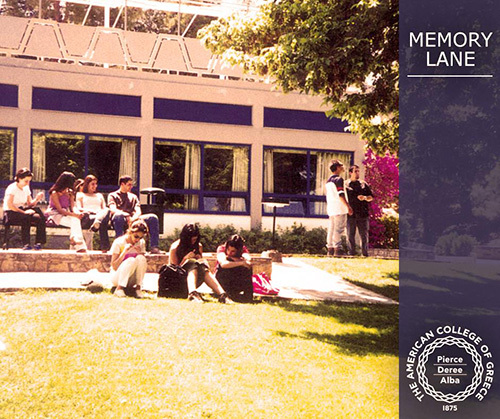 Participating at a university level were the Athens University of Economics and Business, the National Technical University of Athens, the Debating Society of Greece, and the Model United Nations team from the University of Piraeus.